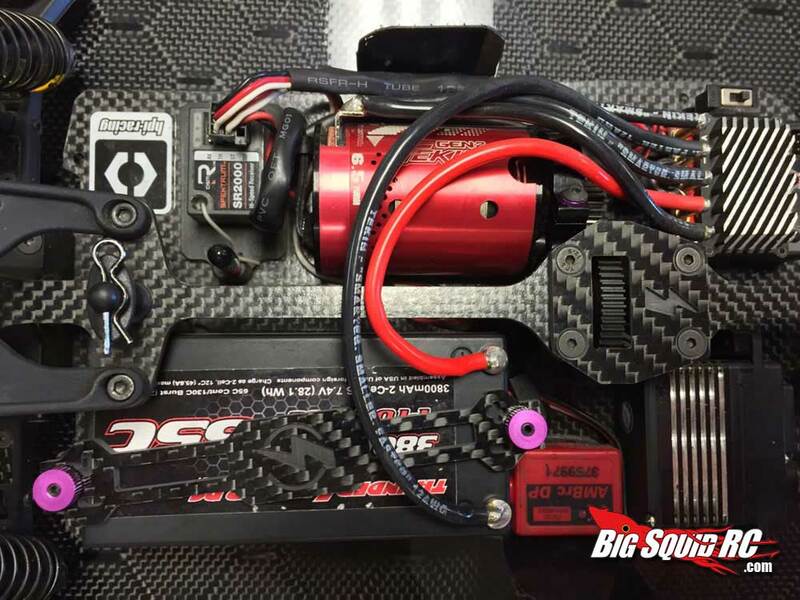 Factory RC – New upgrades for the Hot Bodies D413 « Big Squid RC – RC Car and Truck News, Reviews, Videos, and More! 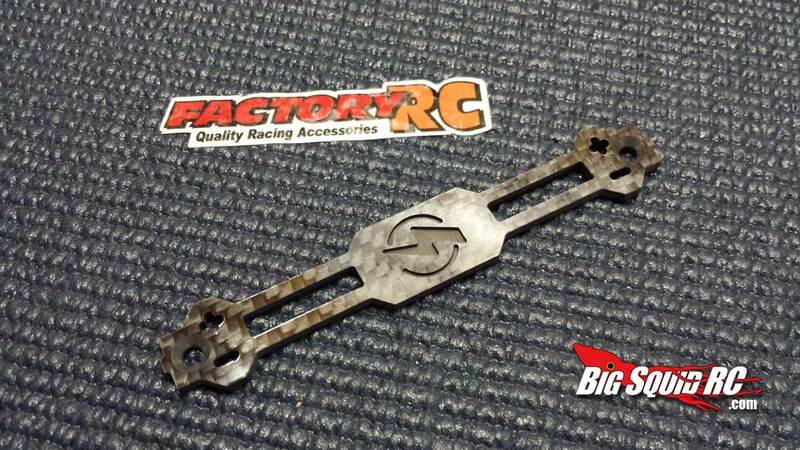 Factory RC has some new goodies out for the Hot Bodies D413. First up is the Bolt “Polarity™” battery strap. 3mm carbon fiber material featuring their “bolt” logo with machined polarity marks in the strap to help you identify the proper connection orientation. 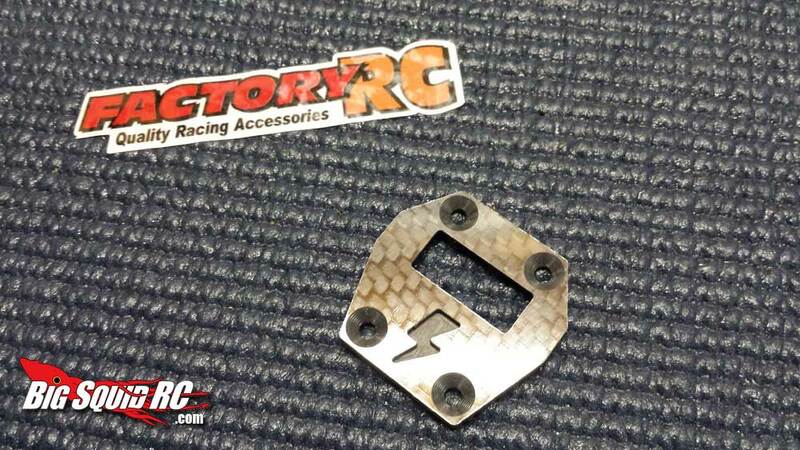 Next up is the Bolt Rear Camber Plate which includes additional mounting holes and also featuring their “bolt” logo. 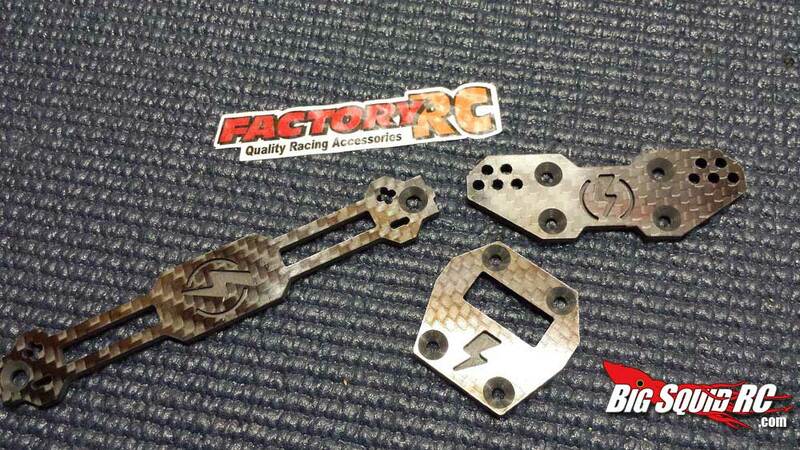 3mm carbon fiber material shaves weight from the stock part adding performance. 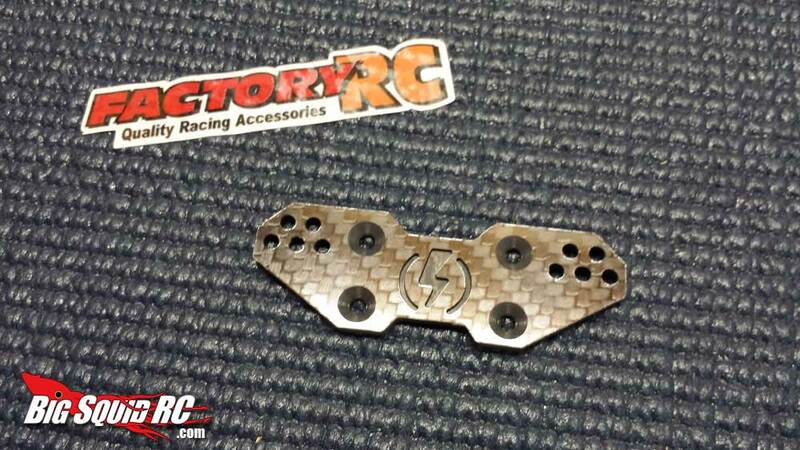 Last but not least the Bolt Center Diff Plate. Continuing with the “Bolt” logo theme milled right into the center diff plate. 3mm carbon fiber material milled to clear all the stock parts while providing a smooth top using the included 3×10 FH screws for that “Factory” look. For more information on these products click here. Or if you are ready to buy you can find them here. Want more Hot Bodies news on bigSquid RC? Click here.